Currently viewing the tag: "hhsl event"
Now that everyone is back on campus and settled into their routine, the HHSL is beginning our Open Workshop series on Thursdays from noon-1pm in Sackler 510. 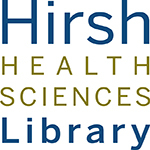 These one hour classes are open to anyone affiliated with Tufts University or the Hirsh Health Sciences Library, and cover a wide range of relevant and interesting topics. Our kick-off event is this Thursday, and will include snacks, as we take you through some of the most popular FAQs about using and accessing the library resources. You can find all of the upcoming classes and their descriptions on our Open Workshops calendar page. Registration is required for the workshops, and you are absolutely allowed to eat and drink responsibly in the computer lab! Join us Thursday 3/13 at noon in Sackler 510 for the next installment of our Open Workshops series. During this hour-long workshop, you will learn how to use library resources and tools to manage your writing from conception to publication. Space is limited–be sure to arrive on time for a seat! Food and lidded drinks are allowed in the computer labs so feel free to bring your lunch or a snack. 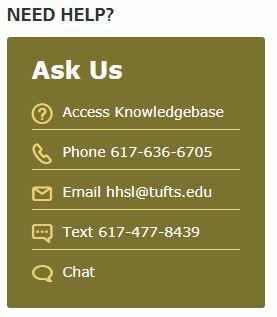 HHSL Open Workshops are open to ANY Tufts community member. We welcome students, faculty, staff, clinicians and members of our affiliate hospitals. Join us this Thursday afternoon from noon to 1pm for an introduction to the best database you may never have heard of – Web of Science! Food and lidded drinks are allowed in the computer labs, so bring your lunch or a snack. – and find out who is also working on your topic of interest. Web of Science will become your new best friend for research! Space is limited, so please register here by February 26th.